Some weeks back, I discovered a note on the windshield. “Yo dipshit,” it began. “Next time leave me some room to get into my car!” As if I had purposefully parked to annoy. I was only for a moment incensed at having been misunderstood and wrongly accused. Then, I found I wanted to plead my case: “but…but…but.” Then, I thought about mortality and eternity. And how we humans, the very smallest of dipshits all, get so much so wrong so often. 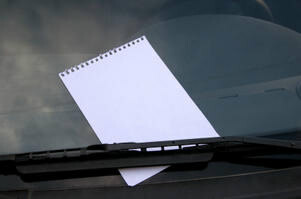 I, myself, have been known to leave angry, judgmental epistles on others’ windshields—always certain that, whatever the trespass, it had come about through intentional inconsideration. I am very hard on others—but no harder than I am on myself. 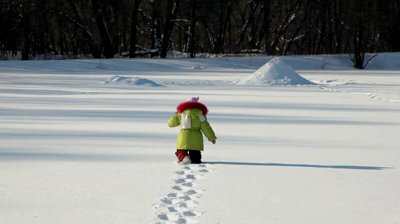 From time to time, I tell the story of my first remembered experience with winter weather, and yesterday I was reminded of it as I stared out the back window of a taxi onto an urban landscape of pepper-colored snow. I wanted to know if the driver had children — odd of me to ask — and, if so, whether or not they liked to play in the stuff. Two, he replied, and sure they do, he said.